Anne Amis, professor of English to Speakers of Other Languages (ESOL). 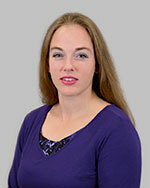 She joined LSC-Kingwood in 2007. Amis earned a Bachelor of Arts in Spanish from Hendrix College and a Master of Arts in Teaching ESOL from the SIT Graduate Institute. Amis has presented two papers: "Activities to Energize Academic Writing" at the Texas of English of Other Languages (TESOL) conference in 2011. In addition, she presented "Applying Appreciative Inquiry in an ESOL Writing Class." In 2012, she was the recipient of the Faculty International Education Grant, Vietnam. 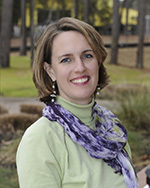 She was also honored with the 2011 LSC-Kingwood Faculty Excellence Award. Amis is a member of the college's Intercultural Student Organization, The Academy and the Behavioral Intervention Team. "I teach ESOL because it gives me the opportunity to work alongside immigrants and international visitors who are exploring the life-changing gifts and challenges mastering another language provides. As a second-language learner myself, I find the process extremely rich and rewarding," Amis explained. "During my time at LSC-Kingwood, I have always been offered opportunities for personal and professional growth; I love teaching and working here because I am always learning something new, be that a new course I teach a diverse and international student population or professional development activities." 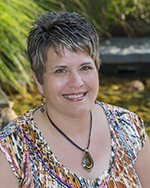 Suzie Goss, professor of mathematics, joined LSC-Kingwood in 2010. Goss obtained a Bachelor of Science degree in Mathematics from Stephen F. Austin State University. She also earned a Master of Science degree in Mathematics from Texas A&M University. "Math is interesting to me," said Goss. "I enjoy helping others understand mathematics. 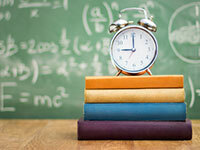 I hope that through understanding math, students can have an appreciation for it and even grow to like it," she explained. "The faculty and staff at LSC-Kingwood are here because they want to help students be successful and achieve their goals." Stephanie Cockrell Andrews, Ed.D, mathematics professor, has been teaching at Lone Star College-Kingwood for eight and a half years. During her tenure, she earned the Faculty Excellence Award in 2009 at the college and the Educational Leadership Doctoral Award in 2010 from Sam Houston State University (SHSU). "I teach math, because math is fun for me. I want others to know that math is doable and even fun," she said. "My experience at LSC-Kingwood has been wonderful." 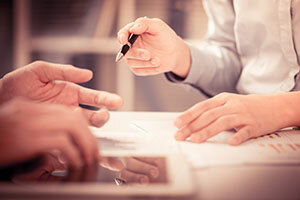 Doyen earned a Bachelor of Science degree in education from East Texas Baptist University, a Master's of Education degree in counseling and a Master of Science degree in mathematics from Stephen F. Austin State University. She earned an Ed.D in educational leadership from SHSU. Dr. Miguel Caceres utilizes more than 30 years of experience in mathematics, statistics, and operations research to help students earn their college degrees. He has been a math professor at Lone Star College-Kingwood since 2002. “I enjoy my job as an educator, because I have a chance to help students and convince them that learning and getting a college degree will have a positive impact in their lives,” he said. 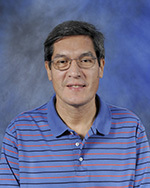 Caceres’s career includes being a visiting professor at Sam Houston State University and University of Houston, a teaching assistant at U of H and Georgia Tech, and an instructor at West Georgia College. Caceres earned a Bachelor of Science degree in Mechanical Engineering, a Master of Science degree in Mathematics and a Master of Science in Operations Research from Georgia Tech. He earned a Ph.D. in Statistics and Operations Research from the University of Houston. He is a member of the Texas Community College Teachers Association (TCCTA). Charity Combs, mathematics professor, joined LSC-Kingwood in 2016. Combs obtained a Bachelor of Science in Mathematics from Norwich University in 2005. She earned a Masters of Aeronautical Science with specializations in Safety Systems and Education Technology from Embry-Riddle in 2011, as well as a Master of Arts in Mathematics from University of Houston in 2014. She also holds a private helicopter certificate. 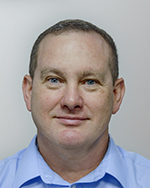 Combs has been an adjunct mathematics professor at several educational institutions in the Houston area, including LSC-Montgomery and San Jacinto College North and Central. “Too many people have an extreme dislike of math. I teach for that lightbulb moment; that moment when that student who thinks it is impossible, realizes ‘oh, that’s easy’”. 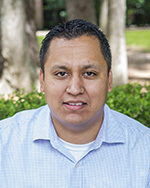 Jose Jonathan Gamez, assistant professor of mathematics, joined LSC-Kingwood in 2013. Gamez earned a Bachelor of Science degree in applied mathematics from the University of Houston-Downtown. He also holds a Master of Science degree in mathematics from the University of Texas El Paso. 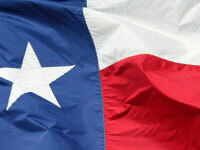 Gamez taught courses at LSC-North Harris, LSC-University Park and at the University of Houston-Downtown. "The best part about being a math teacher is not only helping my students understand mathematics, but also helping them achieve their goals," Gamez stated. 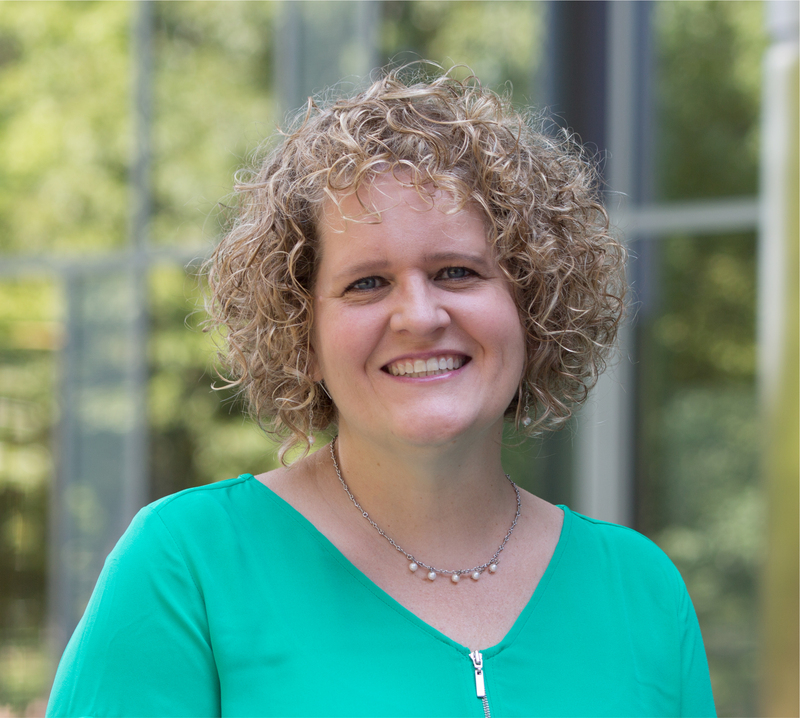 Amy Hoherz, professor of mathematics, joined LSC-Kingwood in 2013. She earned a Bachelor of Science in Mathematics degree from the University of Iowa. Hoherz also obtained a Master of Science in Mathematics degree from Emporia State University. Additionally, she holds a Master of Curriculum and Instruction degree from the same institution. Hoherz held numerous adjunct positions including Johnson County Community College in Overland Park, Kansas and at Metropolitan Community College in Penn Valley, Kansas City. She was also a mathematics adjunct facilitator in Johnson County Community College. In this position, Hoherz supported the dean of mathematics in the supervisory and administrative duties of more than 60 adjunct mathematics professors. Hoherz has also held teaching positions at the high school level. She has taught classes in Fundamentals of Mathematics, Introduction to Algebra, Intermediate Algebra, College Algebra, Trigonometry, Pre-Calculus, Statistics, Business Calculus I, and II. Keturah Johnson, math professor at LSC-Kingwood, started teaching math at the middle school level. "My students' goals are important to me and I like working with them to obtain them." Johnson earned both a bachelor's degree and master's degree in Mathematics from Texas A&M University. Before working at LSC-Kingwood, she taught math at the high school level and was a soccer coach. 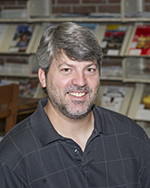 Chris Martin, professor of mathematics joined LSC-Kingwood more than 25 years ago. His undergraduate degrees are from Rice University in English and Religious Studies. His graduate and doctoral degrees are in mathematics from the University of Houston. His dissertation was in Nonlinear Partial Differential Reaction Diffusion Equations. His current research interests are in Mathematical Physics and Mathematical Biology. 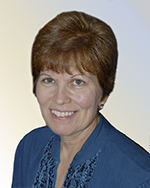 Mari M. Menard, mathematics professor, has taught at Lone Star College-Kingwood since fall 2002. During her time at Kingwood, she has presented at AMATYC (American Mathematical Association of Two-Year Colleges) and presents at the Academy for Lifelong Learning (ALL) at the EMCID center during the fall and spring semesters. She was secretary for the Faculty Senate for several years; most recently she was the recipient of the Faculty Excellence Award and a graduate of The Academy (Leadership Development Program at LSCS). 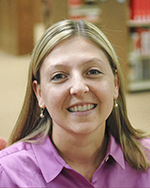 Mari Menard earned a bachelor’s and masters of Science degrees in mathematics from Lamar University in Beaumont, TX, and in 2002 she started teaching at Kingwood. During her time at Kingwood, she has been actively involved with Faculty Senate, the Math Lab (past Math Lab Faculty Liaison), and presenter for the Academy for Lifelong Learning. She is a two time recipient of the Faculty Excellence Award, a graduate of The Academy (LSC Leadership Development Program) and has worked with the Leadership Development Alumni Association (past Board Secretary). She is an active member with AMATYC (American Mathematical Association of Two Year Colleges), and is currently the AMATYC Traveling Workshops Coordinator. She enjoys teaching a variety of mathematics courses ranging from Developmental Math (including Corequisite courses) to College Algebra as well as Business Mathematics, Business Calculus, or other courses. Her own experiences in college allowed her to find her love of mathematics and a knack for helping her fellow students. Lyle O'Neal, associate professor of mathematics, joined LSC-Kingwood in 2013. O'Neal earned a Bachelor of Science degree in mathematics from Tarleton State University. He also holds a Master of Science degree in mathematics from the same institution. O'Neal has been an adjunct professor at several educational institutions in Texas. Some of these include Northwood University, Cedar Hill; Navarro County, Corsicana; and Tarrant County College. He also taught at the public school level. O'Neal taught at Granbury ISD, Lancaster ISD and Bosqueville ISD. He is a member of the Texas Community College Teachers Association. "The best part of my role is helping students be successful," he stated. 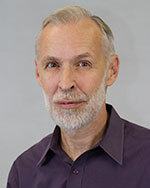 John Reutter, associate professor of mathematics, joined LSC-Kingwood in 2009. Reutter obtained a Bachelor of Science degree in Mathematics from Xavier University in Cincinnati, Ohio. He also earned a Master of Science degree in Mathematics from Eastern Michigan University in Ypsilanti, Michigan. Reutter describes his experience at LSC-Kingwood as "tremendous and the greatest place to work." He is a member of the Society of Mathematicians and Engineers. 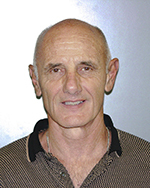 Lee J. Topham, Ed.D, mathematics instructor, has been with Lone Star College since 1979. He was an instructor and department head at LSC-North Harris for five years and has been at LSC-Kingwood as instructor and division head since 1984. Prior to LSCS, he taught nine years at San Jacinto College. During his career, Tohpam has developed and taught four online mathematics courses, instructed students in the use of the TI-83 graphing calculator and assisted adjunct faculty in the use of WebAssign, which is an online homework software. In 2004, he received the Faculty Excellence Award at LSC-Kingwood. 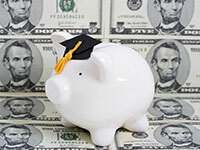 Topham earned a Bachelor of Science degree in mechanical engineering from the University of Southwestern Louisiana and a Master of Education degree in education from Sam Houston State University. He earned his Ed.D in educational administration from the University of Houston. 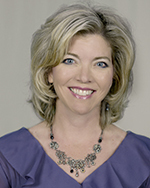 Topham is a member of the Texas Community College Teachers Association and the American Federation of Teachers. 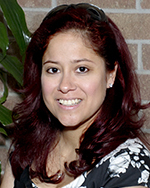 Nathalie M. Vega-Rhodes, mathematics professor, has been teaching at Lone Star College-Kingwood since 2012. Her math experience in college led her to conquer the subject and teach it to others. "As a student who started in developmental math, I never believed that I would or could be successful at math. I always thought that math was a subject to 'get through' and dreaded my first few semesters. Then I had a professor who encouraged me to work with her as her SI leader in college algebra. Over the course of that semester, I saw frustrated students conquer their fears and grasp concepts that were previously obscure. I think the 'light bulb' moment is why most instructors decide to teach - reproducing this experience is addicting! For me, when I saw that I could help others in math, the rest was history," she said. 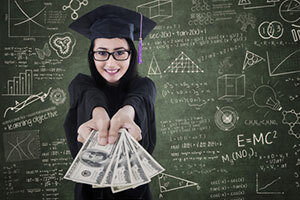 Vega-Rhodes earned a Bachelor of Arts degree in mathematics with a minor in geology from the University of Houston and a Master of Science degree in mathematics from the University of Houston-Clear Lake. "Everyone that I have come in contact with at LSC-Kingwood has been so welcoming! I love not only my department, but also the people in and around my office suite. It's clear that almost everyone here believes that we are all a team and I truly appreciate the sense of camaraderie," she said. 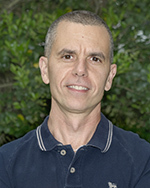 Loris Zucca, professor of mathematics, joined LSC-Kingwood in 1998. Lucca earned a Bachelor of Science in mathematics degree from Texas A&M University and the University of Houston. Additionally, he holds a Master of Science in mathematics degree from the University of North Texas. Zucca is member of the Mathematical Association of America and the Texas Community College Teachers Association. "I enjoy challenging students to do their best," stated Zucca.